? HMHA Serving Escondido, Rancho Bernardo, San Marcos, San Elijo, Vista and San Diego North County. 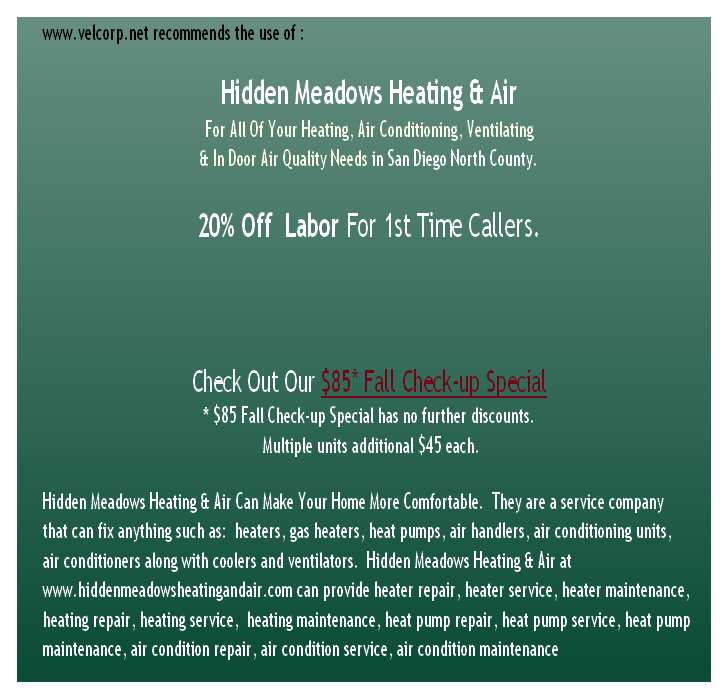 Heater Repair and Air Conditioner Repair.